Jerusha Bailey is an analyst for the NSA. After serving nearly a decade in the U.S. Navy, serving at sea and in threat analysis units, Bailey, now in her early to mid 30s, left active duty to find a job in the civilian world. She remained a member of Navy Reserve even as she turned her skills of analysis to the National Security Agency. It was her expertise in submarine and ocean surveillance units that got her boss's boss interested in her which led to the job offer. As the series starts, she has been working for the NSA for just over six months. Assigned to the Western European division, it is her responsibility to keep up with all the happenings on that continent. Every year for at least two weeks, she dons her Lt. Commander uniform and reports to duty as the commanding officer of a Mobile Inshore Undersea Warfare Unit, the whole purpose of which is to monitor submarine activity using the very latest in technology. Dealing with the bureaucracy of the NSA annoys her greatly and sometimes reminds her of why she left the Navy. Bowing to pressure from above wanting to change the facts to fit an agenda or smooth a plan was not what she was after and she bucked the system in the Navy enough to know the next ten to twenty years of it was something she couldn't do. Things in the NSA was better but sometimes not by much. 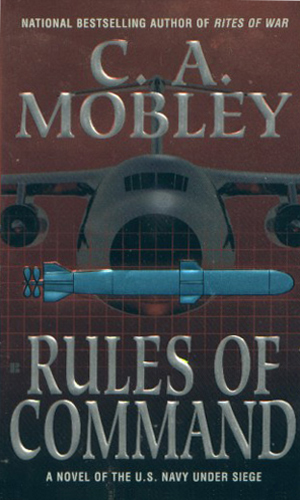 This three-book series is far more an naval action warfare book than a spy book but her dealings with the NSA and much of how she reacts in the field is dictated by her civilian Intelligence experience. Because of the constant interlacing, it definitely belongs with this compendium. On her annual two-week period of active duty as a Naval Reserve officer, Jerusha Bailey is thrust into the command of the U.S.S. Rampage as a neo-Nazi resurgence results in her ship coming into conflict with a German U-boat even as hostilities between other nations bring the world closer to war. 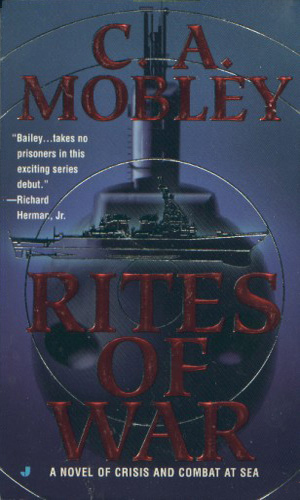 Fate once again takes Bailey away from her high-level position at the NSA to become involved in the tension at the Panama Canal. The new government there, the result of an accidental shooting-down of a plane carrying the late President of that country, is backed by Red China and the whole matter of free international trade is at risk. 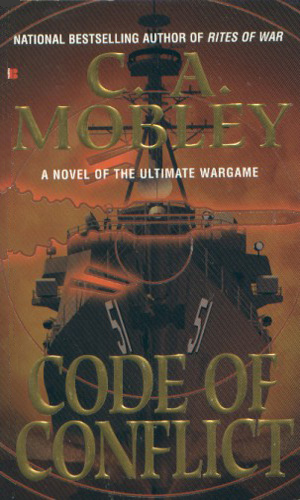 When an American warship is fired upon off the coast of India, the job of investigating the incident in the midst of a Bengali-India conflict falls upon NSA analyst Bailey who soon finds there is a strange and highly dangerous connection between this incident and a wargame being planned by the Pentagon. I have never been a major fan of war fiction, preferring my fighting to be behind the scenes and potentially illegal :-). Nevertheless, I was hooked by the first book and really needed to know what happened next. I didn't understand much of what was happening, despite years of service in the Navy, but it was fun to read and compelling. It might have been nice to see Bailey in a situation where she could let her hair down and relax but the action is so fast and heavy that she never gets the chance.